The Script have had success mostly in their native Ireland. They have had some success here in North America. The 2008 single Breakeven is their biggest hit to date. They are from Dublin, Ireland. Lead singer and pianist Danny O'Donoghue and guitarist Mark Sheehan have been best friends since they were classmates in school. They were once members of the 90s boyband Mytown. They got a big record deal with Universal. But they only recorded one album in 2000 and then squabbling between Universal and Mytown's management led to their release. O'Donoghue and Sheehan stayed in Los Angeles and wrote and produced for others. Then they moved back to Dublin and formed The Script with drummer Glen Power. They signed with Sony's Phonogenic label in 2005 and their debut album The Script was released in 2008. The album was produced by Phonogenic owners Steve Kipner and Andrew Frampton. Both are veteran producers. 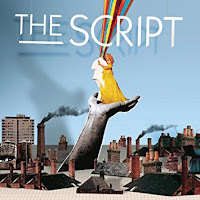 The Script were immediately successful in Ireland and England with the singles We Cry and The Man Who Can't Be Moved. So Sony heavily promoted Breakeven in the US and it reached #12 on the Billboard Hot 100. That's their biggest hit to date. They haven't been as successful since then but they are still very popular in England and Ireland. The Script's latest CD No Sound Without Silence was released in 2014. They are currently working on a new album. Here's the video for Breakeven by The Script.